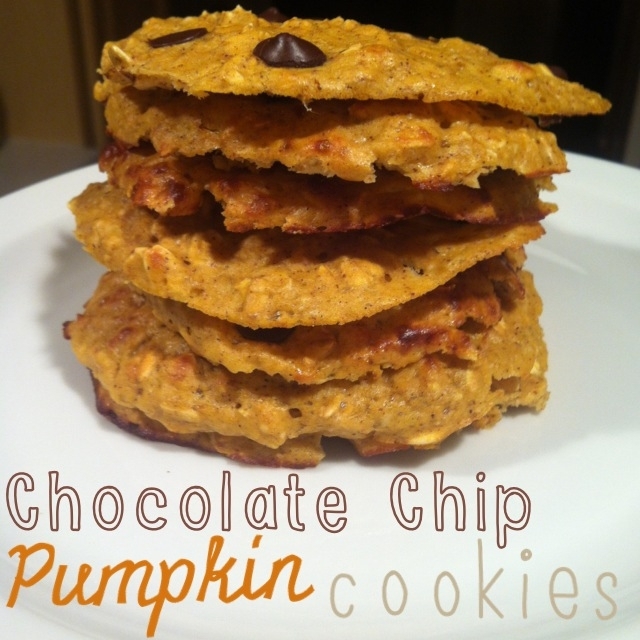 A fall twist on the classic chocolate chip oatmeal cookie! 1.) Preheat oven to 375. 2.) Mix all the ingredients besides the chocolate chips. 3.) Spray a baking sheet well and place ten dollops onto tray. 5.) Bake for 8-10 minutes, but watch carefully!